The elevator pitch Steve Jobs gave to Pepsi president John Sculley to convince him to join Apple is one of the best of all time. This is an encore episode that aired originally on April 5, 2014. Back in 1983, John Sculley was the president of Pepsi. He was a very highly paid executive sitting atop of one of PepsiCo's most important divisions, and the youngest president in Pepsi's history. Sculley had dedicated his career to Pepsi, and was widely believed to be a serious contender to become PepsiCo's chairman one day. As a result of his high profile, Sculley constantly turned down offers from corporate headhunters, trying to lure him away to run other companies. John Sculley had Pepsi in his veins. One day, he received a call from the top headhunter in New York, telling him Apple Computers was looking for a CEO. 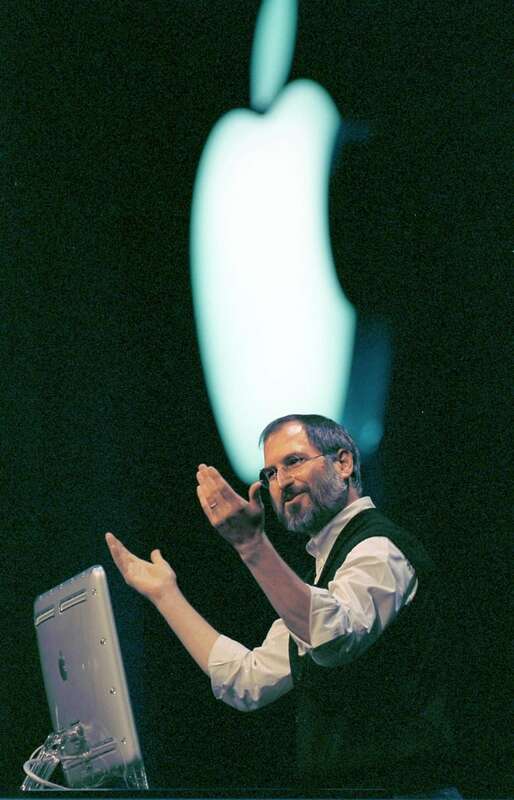 Steve Jobs needed someone to run the company while he focused on product development. Although Sculley was intrigued by Apple's rise to become a Fortune 500 company in only six years, he said he wasn't interested. The headhunter urged him to just meet with Jobs. Sculley had a trip planned to California to visit some family, so he agreed to meet Jobs while there, but insisted on paying his own way so there were no obligations. When he met Jobs, he was taken aback by how young he was. Steve was only 27, but he and Sculley had a lot in common. Both were detail-oriented perfectionists, and both liked to build companies. But Sculley was shocked by Apple's headquarters. It looked like the branch office of an insurance company. Completely unimpressive. Sculley also noticed he was the only person wearing a suit, as all the Apple employees were dressed less formally than the maintenance staff at Pepsi. Jobs told Sculley that Apple was going to be the most important computer company in the world because it was going to put the technological power of corporations into the hands of the individual. Sculley was impressed with Jobs. Jobs was fascinated by Pepsi's marketing. But at the end of the meeting, Sculley reiterated that he wasn't interested in leaving Pepsi. A few weeks later, Jobs flew to New York and dropped in on the Pepsi president. Sculley still resisted the offer. Then Jobs started calling him every three or four days. While intrigued and flattered, Sculley kept declining the job offer. Apple countered by offering a huge salary and stock options that would vest at over 50 million dollars. Sculley still refused. So Jobs flew up to New York again and asked Sculley to reconsider one last time. Sculley said thank you, but no thank you. He had invested too many years in Pepsi, and he had a future there. That's when Jobs looked Sculley in the eyes and said, "Do you want to spend the rest of your life selling sugared water, or do you want a chance to change the world?" 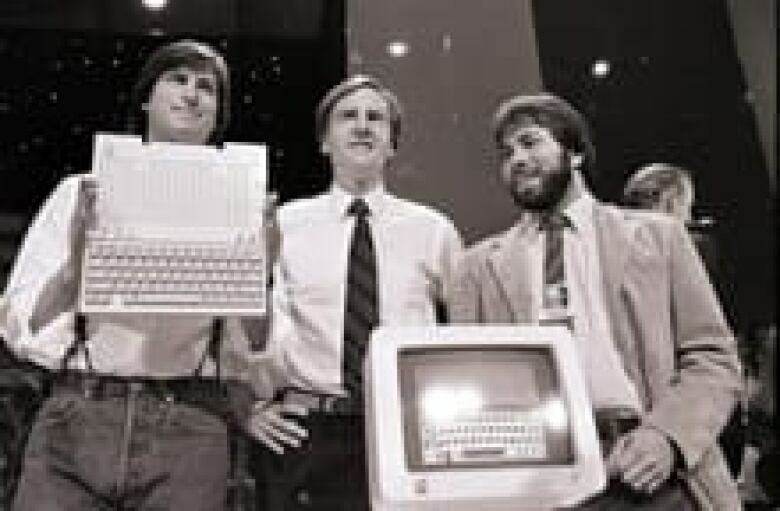 From left, Steve Jobs, chairman of Apple Computers, John Sculley, president and CEO, and Steve Wozniak, co-founder of Apple. (Sal Veder/Associated Press) That challenge hit Sculley like a fist in the stomach. After all the meetings, the huge salary offer and the stock options, it was that one sentence that haunted him. It gnawed at Sculley. It wouldn't let him sleep. It was so powerful, it finally convinced him to leave Pepsi behind and join Apple. That question from Steve Jobs is considered one of the best elevator pitches in history. For this story and more from Under The Influence, click or tap on the "Listen" tab to hear the full episode.